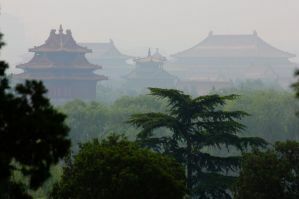 Located in the Dongcheng District, the Forbidden City is the most important palace and infamous site in Beijing. It was once the home of the Imperial Court during the Ming and Qing Dynasties. It's also centrally located, and many hostels are found in the surrounding neighborhoods. If you stay here, you'll be conveniently close to many of the city's best sights, attractions, and restaurants. It's a relatively walkable neighborhood with a lot of character. You'll also be close to public transportation so you can easily access most neighborhoods throughout the city. This is a great hostel for solo travellers, couples, and small groups. This hostel has a large range of rooms that you can choose from. It has everything from doubles to budget dorms and even luxury rooms. The furnishings are comfortable and of a high quality. The bathrooms are clean and modern, and the lobby is a fun social setting. There's a bar where you can grab a drink or have some tea and there's a nice Botanical Gardens nearby. The hostel is conveniently located just a few blocks from the Forbidden City, and is also close to many galleries, museums, restaurants and more. It's in the Hutong district, which is a quaint and historic part of town that is fun to explore. It's also just east of the Houhai and Qianhai Lakes. The staff is friendly and social, and can help you organize your itinerary during your stay. This hostel is designed for international travelers from around the world. The decor is nice and welcoming, and the staff speaks English. The rooms are nice and comfortable and the setting is friendly and social. It's located right in the heart of Beijing not only close to the Forbidden City, but also near the Beihai Park, Huangcheng Relic Park, and the Wangfujing Shopping Street. It's a walkable area with a lot of things to do. You can walk to the Forbidden City in just ten minutes. Make sure you take advantage of the Donghuamen Night Market, which is very close by. You can watch a Chinese opera at the nearby Opera House. Also take some time to wander through the Hutongs, which have quaint side streets where residents go about their daily lives. This is a great place for anybody who wants to be near everything in Beijing. This hostel is designed to offer international travelers a cheap and clean option in the middle of everything. The atmosphere is relaxed and social so it's a great place for solo travelers who are hoping to make some friends. There's a bar and restaurant onsite where many guests enjoy hanging out. Other amenities offered by the hostel include free wi-fi and internet access, a free library where you can borrow books, a luggage storage area, travel information, and hot showers 24 hours a day. There's also a dumpling or hot pot party every Thursday. 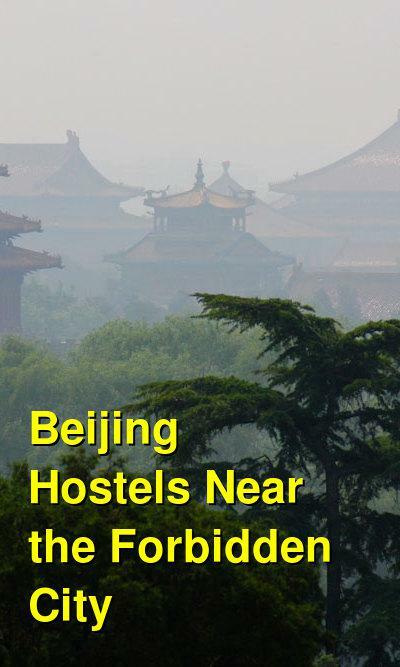 The hostel is only ten minutes from the Forbidden City and is near everything in the surrounding neighborhood. The Beijing 161 Hostel is located right in the middle of the city center in the famous Hutong District. It's just a short walk from the Dong Si subway station, from which you can access most of the city. It's also just a short walk from the Forbidden City and everything that is nearby. You'll be close to the Lama Temple, Ghost Street, Bell Tower, Drum Tower, and the Hou hai Bar Street. The rooms are diverse and range from private rooms to luxury rooms and even family rooms. The bathrooms are clean and modern and the service is excellent. Amenities include fresh coffee, free wi-fi, air conditioning, travel information and ticket booking. You can also rent a bicycle to explore the neighborhood.